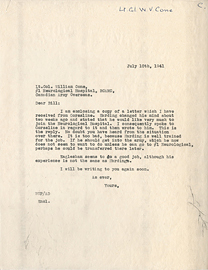 Letter from Wilder Penfield to William Cone, July 10, 1941. 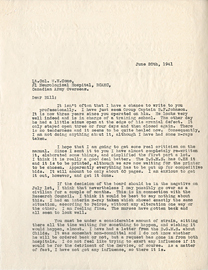 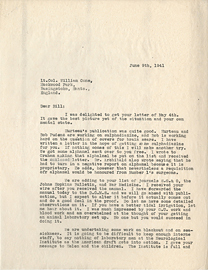 Letter from Wilder Penfield to William Cone, June 9, 1941. 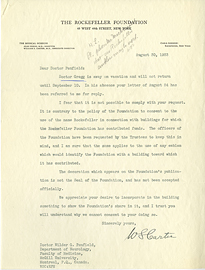 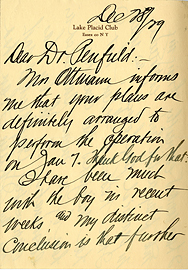 Letter from Wilder Penfield to William Cone. 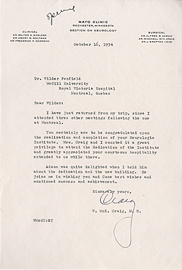 Letter from Wilder Penfield to William Feindel, January 26, 1960. 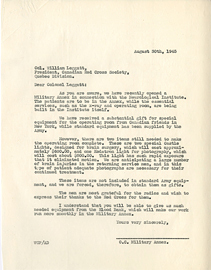 Letter from Wilder Penfield to William Leggat, August 30, 1945. 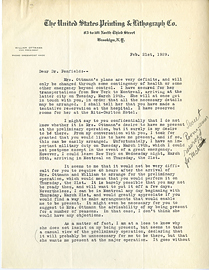 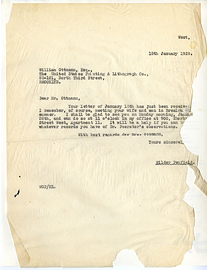 Letter from Wilder Penfield to William Ottmann, January 18, 1929. 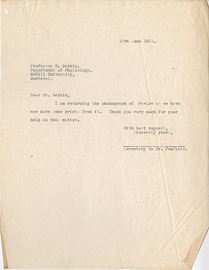 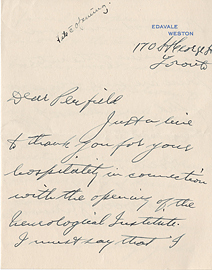 Letter from Wilder Penfield's secretary to Boris Babkin, June 13, 1933. 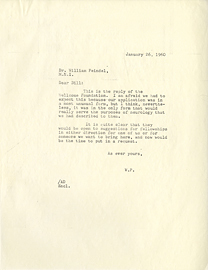 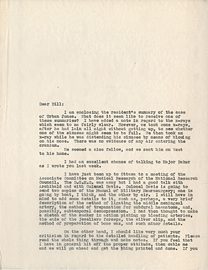 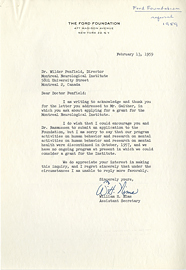 Letter from William H. Nims to Wilder Penfield, February 13, 1959. 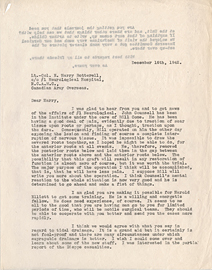 Letter to Lt.-Col. E. Harry Botterell, December 16, 1942.